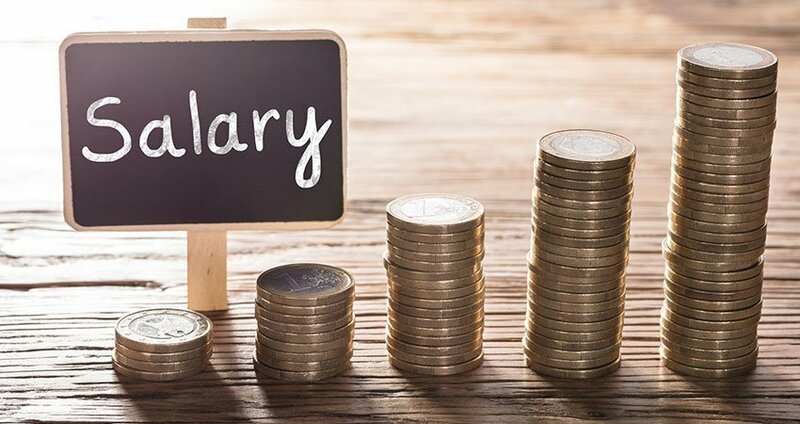 Very often we get asked about directors’ salaries and why they should be taken, so what should you take for 2019-20? I must make you aware that this is just the basic salary situation and doesn’t take into account other income, recent changes to property income or tax on interest and dividends. Every business is different, so it is always best to have a chat with myself or Glenn to get an idea of what is best for your company. Last year it was £702 or £987.50, but what are the figures going to be this year? Let’s start at the beginning. Why take a director’s salary at all? There are a couple of good reasons to take some of your income as salary from your limited company if you don’t have any other employment. •	From a company perspective – wages and salaries are expenses that reduce the taxable profit of the company so save on Corporation tax. •	From a personal tax perspective – you want to make best use of your personal allowance. This is the amount that you can earn before you have to pay income tax. But why are there two different figures? There is a difference between the level that you start to pay income tax and the level that you start to pay National Insurance. This tax year (2019-20) the personal allowance is £12,500, which means you can have £12,500 of income without paying any income tax. This gives £1041 per month for 2019-20. But, there is a catch. You might not pay income tax but there will still be National Insurance to pay. The National Insurance threshold is significantly lower than the personal allowance figure, £8,632 for Class 1 NIC compared to the £12,500 personal allowance, a difference of over £3,800. If you are employed you pay Class 1 National Insurance at 12%, when your income is above £166 per week or £8,632 per year. In addition, there may also be the requirement for the company to pay the Employer’s Contribution at 13.8%. This difference means that if you took your full personal allowance there would be a Class 1 National Insurance bill across the year of £502 Employees NIC and potentially £533 in Employers NIC; £1085 in total. If you have a salary that falls between £118 per week and £166 (for 2019-20) then you will get your National Insurance credits towards your pension and other benefits, but the salary won’t be high enough for any National Insurance payments to be due. So, why would anyone bother claiming the full £12,500? If you have other employees, then you can claim the Employment Allowance which means that you don’t pay the first £3,000 of the Employer’s National Insurance contributions. This bring the National Insurance to just the 12% for the Employee contributions. Corporation tax is paid at 19% so although you are paying 12% National Insurance you are saving 19% Corporation tax at the same time, a saving overall of 7%. Hopefully you aren’t too confused, so I’ve worked out some examples to help. All of these are based on a company director who has no income other than the company salary and dividends. If you do have other employment, property income or significant investment income then you will need to speak to with myself or Glenn. If you just took a salary of £719 per month, the NIC threshold figure, you would pay no income tax and no National Insurance on that amount. You would save 19% Corporation tax on your salary expense giving a £1,640 tax saving overall. If you have other employees and took a salary of £1041 per month, the full personal allowance figure, you would pay no tax but there would be Employee National Insurance to pay of £502. There would be no Employers National Insurance because you could claim the Employment Allowance. Your yearly salary expense would save £2,375 in Corporation tax. However, this is offset by the £502 due in National Insurance, giving an overall tax saving of £1,873. This is larger saving than example 1. If you don’t have any other employees and took a salary of £1041 per month, you would pay not tax but would again have to pay the £502 Employee National Insurance contribution. In addition, there would be £533 in Employers National Insurance contributions, but you would not be eligible for the Employment Allowance. The combination of salary and Employer’s NIC expenses would save £2,571 in Corporation tax but this would be offset by the £1035 paid out for NIC giving an overall saving of £1,536. This is the lowest saving of the three examples. If you don’t have any other employees, you are best off sticking at £719 per month. At this level you don’t have to make any monthly PAYE payments to HMRC so there is also less administration. If you do have other employees then in terms of tax you are better off claiming the full personal allowance at £1041 per month, particularly if you are having to make a monthly PAYE payment to HMRC anyway.